Sleeps 3-4. Bright, cozy studio cabin; all in one room but very efficient use of space. Sunny location. 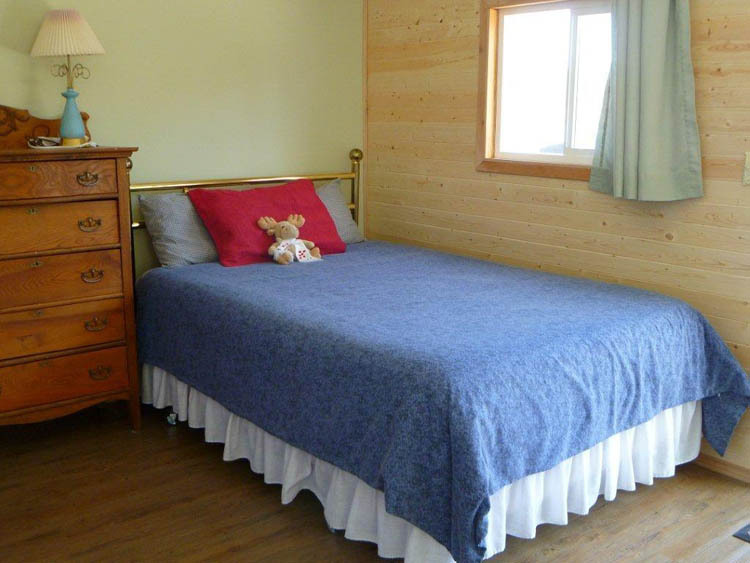 Ideal cabin for the budget minded family with 1-2 children; has a double long bed for the adults and a comfy futon for the kids to share. 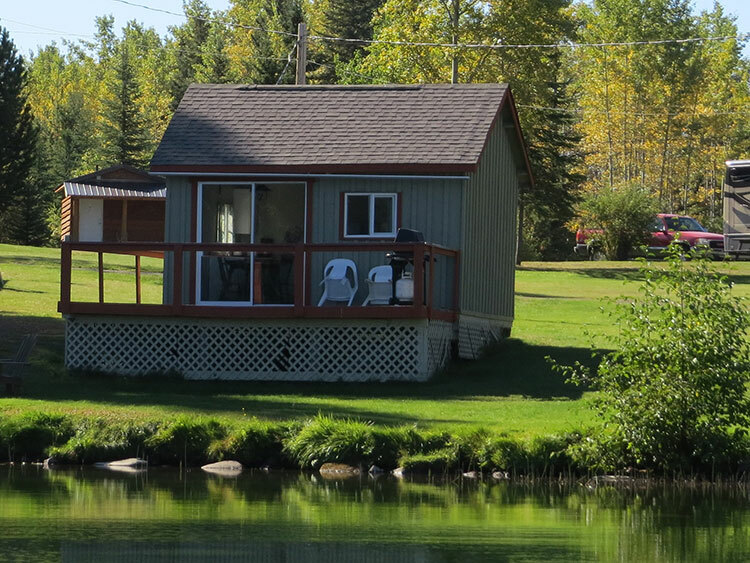 Located on the lakefront with sliding glass door to the sundeck to enjoy the beautiful morning sunrise. 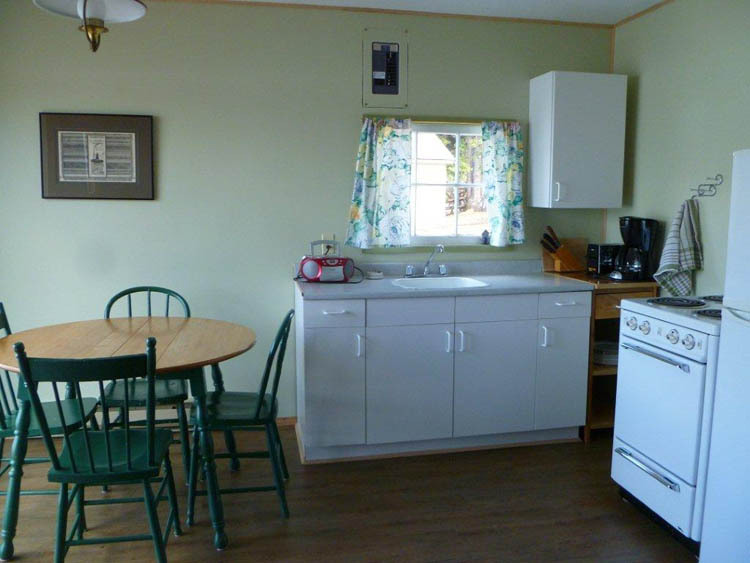 Small but fully equipped kitchen with fridge, microwave and stove, hot and cold water. No bathroom in the studio cabins but the clean, central washroom building is located steps away.